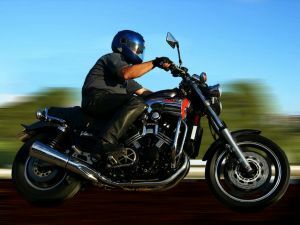 Southwest Florida is among the most dangerous areas in the state for serious and fatal motorcycle accidents, according to a recent analysis by The News-Press. The Pine Island Road corridor has been particularly deadly, with 3 of 6 fatal Lee County motorcycle accidents occurring there so far this year. Our Cape Coral personal injury lawyers continue to urge motorists to use caution and watch for motorcycles throughout the winter riding season. In 2009, a total of 14 of the state’s 402 fatal motorcycle accidents occurred in Lee County, according to the National Highway Traffic Safety Administration. Six weeks into 2011, we are already just one fatal accident away from half that annual total. Statistics for 2010 will be released later this year. Statistics show a car is at fault in more than half of all motorcycle accidents involving another vehicle. The Florida Highway Patrol reports safe riding habits — not tailgating, not speeding and riding defensively — can provide riders a better chance of avoiding an accident. So far this year, fatal Lee County motorcycle accidents have occurred on Estero Boulevard in Bonita Springs, on Hancock Bridge Parkway in North Fort Myers and on College Parkway in South Fort Myers. The remaining three fatal crashes — half of Lee County’s total — occurred either on Pine Island Road or on Pine Island. As we reported recently on our Florida Injury Lawyer Blog, authorities will be conducting an enforcement blitz, with particular emphasis on the Pine Island corridor, in an effort to prevent serious and fatal Cape Coral car accidents. The News-Press points to a University of Michigan study that found a sharp rise in fatalities over the last decade was due in part to older riders with less experience taking to the road as motorcycling has gained in popularity. 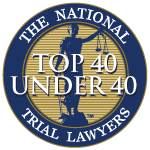 While that may be true, our motorcycle accident lawyers have spent decades representing accident victims and their families and we know that inattentive motorists are all too often responsible for serious and fatal motorcycle accidents. The increase is attributable to more bikers on the road, of course. But it’s most likely the accidents are being caused by other drivers. Riders, after all, know the risks. And most are safe, considerate and conscientious riders. Their life depends upon it.